With a decline in federal funding to work on Forest Service lands and elsewhere our local non-profit, The CREW is looking for work. They are great at getting all kinds of brush cleared, trees removed and as a non-profit their rates are reasonable. In hiring The CREW you are helping train a new generation of folks to use saws and work in the field. 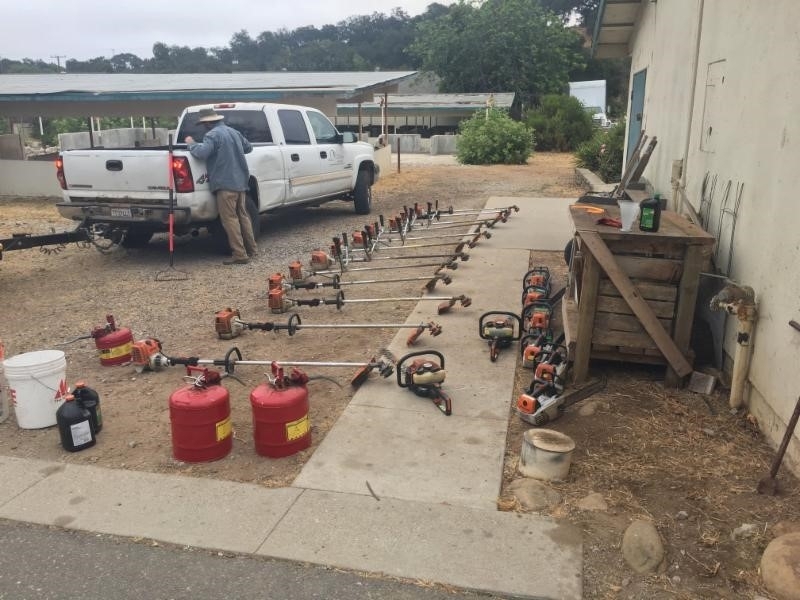 If you have need for dead trees/limbs to be removed, one local resource is The C.R.E.W. - Concerned Resource & Environmental Workers. 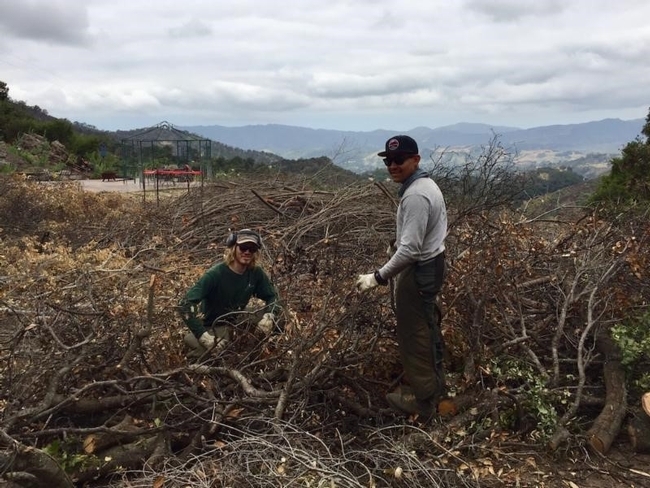 Since 1991 this Ojai-based nonprofit has provided paid employment to young people in conservation and forestry work. With a workforce trained in chainsaw use for fire abatement, The C.R.E.W. is available at a reasonable fee to take down trees and limbs in orchards. 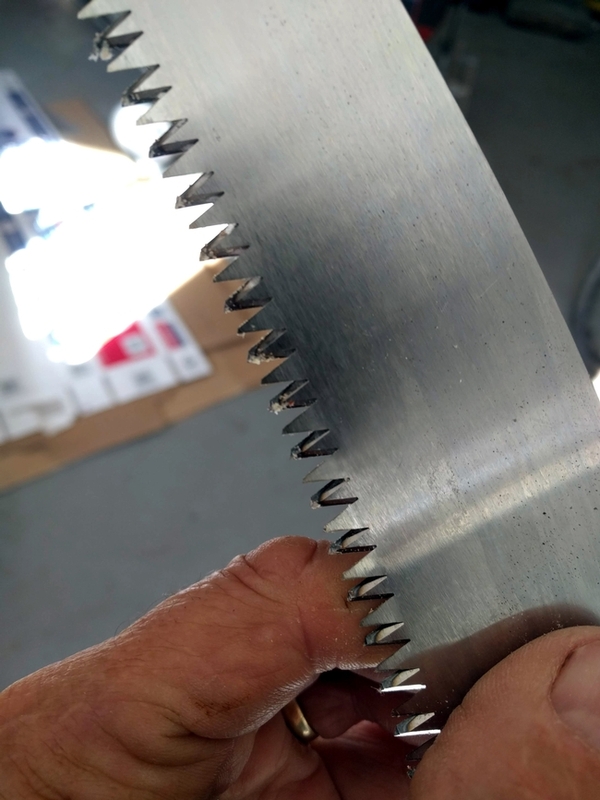 They also have a chipper. The C.R.E.W. works throughout Ventura and Southern Santa Barbara counties. In fact, The C.R.E.W. was hired in 2016 by California Citrus Mutual to take out neglected orange trees on private property to limit growers' exposure to ACP/HLB. If you're interested in learning more, contact Todd Homer at thomer@thecrew.org or call 805-649-8847. The CREW does great fire clearance. Lemons and Rain, O No! So if you have lemons, read this. And if we have rain, really read this. I think because we prune lemons so much, this is more of a lemon problem, because I've never heard of other citrus getting it. It is a wood decay fungus on a lot of other tree species, though. Does anyone know what "sambuci" translates as? 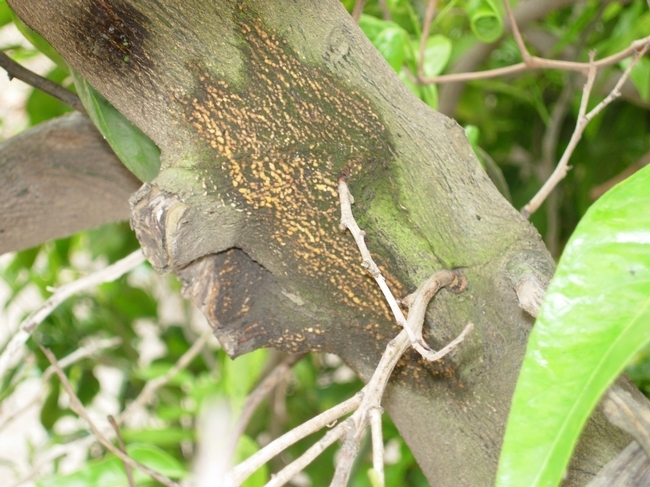 Chlorotic, undersized, sparse leaves and branch dieback are common symptoms of wood decay fungi infecting roots, the basal trunk (root crown), or limbs. These fungi include Armillaria mellea, Hyphoderma sambuci, Ganoderma spp., and Oxyporus spp. These fungi are called white rots because they often cause decayed wood to become soft and white or yellow. Brown rots, such as those caused by Antrodia sinuosa and Coniophora spp., primarily decay cellulose and hemicellulose. They leave behind the brownish wood lignin, which is usually dry and crumbly. Wood decay fungi produce fruiting bodies on the bark, root crown, or stumps or growing from soil near trunks. Fruiting bodies may be obvious toadstool- or umbrella-shaped mushrooms like those of Armillaria spp. or large and shelflike as with Ganoderma spp. Oxyporus spp. produce bracket-shaped, seashell-shaped, or thin and pale fruit bodies. Some decay fungi, such as Antrodia and Hyphoderma spp., form relatively inconspicuous crusts on infected bark. Fruiting bodies produce numerous tiny spores that spread in wind or splashing water. Decay fungi initiate infections when their spores contact injured tissue on living trees, such as wounds from pruning, vertebrate chewing, or infection sites of Phytophthora or other pathogens. Decay fungi can colonize stumps and infect through root grafts to adjacent trees. Spores landing on dead limbs initiate infections that spread to the attached living wood. Most decay fungi are saprophytes that can only grow on severely stressed or injured hosts, or they must first produce substantial inoculum on dead wood. Avoid wood decay by providing trees with good growing conditions and optimal cultural care to promote vigorous tree growth. Protect bark from injury. 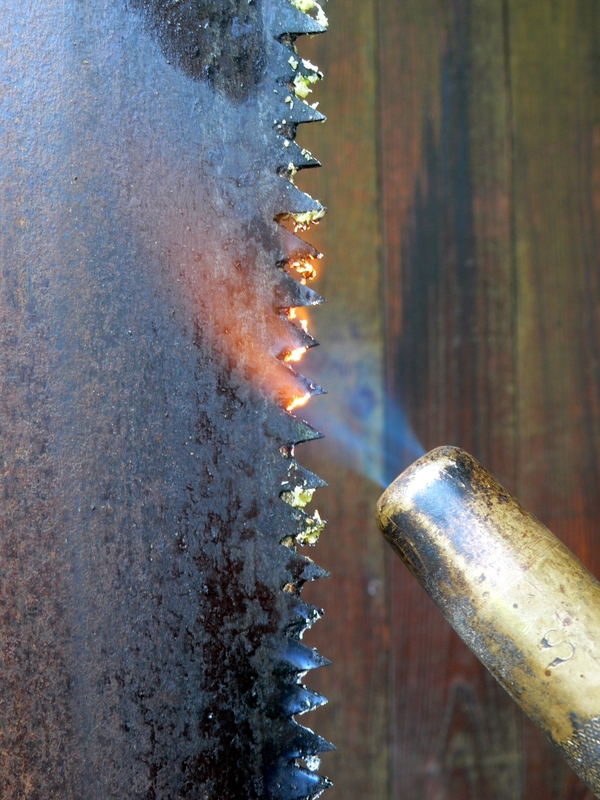 Avoid making large wounds (such as pruning cuts), especially during the rainy or foggy season. When a tree is cut down or disease is spreading from an infected tree (such as by root contact), remove the entire tree—including the stump and major roots. If it rains or we finally have some Valley/Tule Fog or if we have a winter with heavy dew and you have lemons, read further about Hyphoderma sambuci. Hyphoderma gummosis is reported in the field only on lemon. 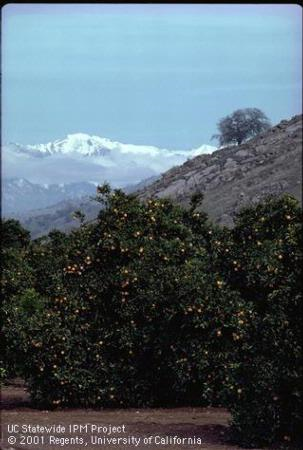 It occurs in the San Joaquin Valley and coastal growing areas. This wood decay fungus causes branch wilting and dieback that ultimately results in tree death. It cannot infect its host through intact bark. 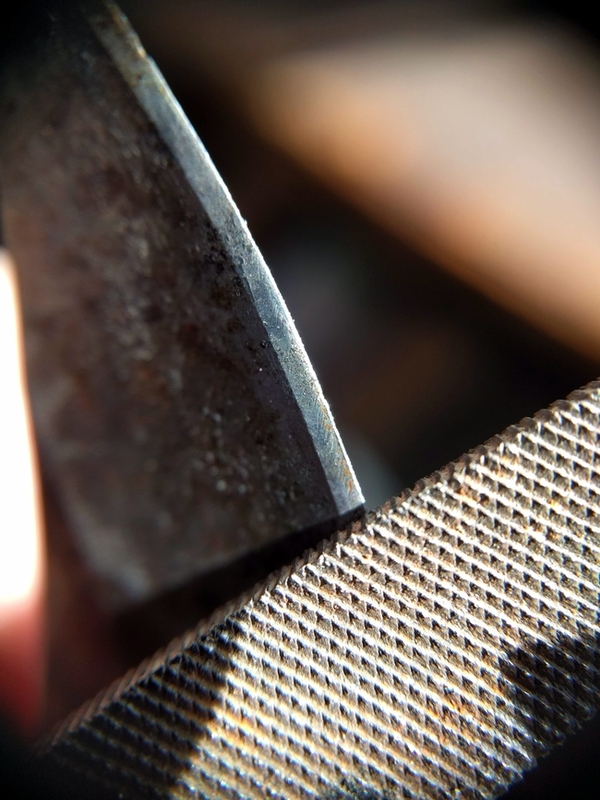 To initiate infections, it requires injuries such as pruning wounds. Spores colonize exposed wood and during moist conditions produce new infections. A crust of pink to white fungal growth of Hyphoderma sambuci appears around infected wounds after wet weather. Provide good cultural care that encourages vigorous tree growth. Prevent irrigation water from directly wetting bark. Avoid wounding bark. 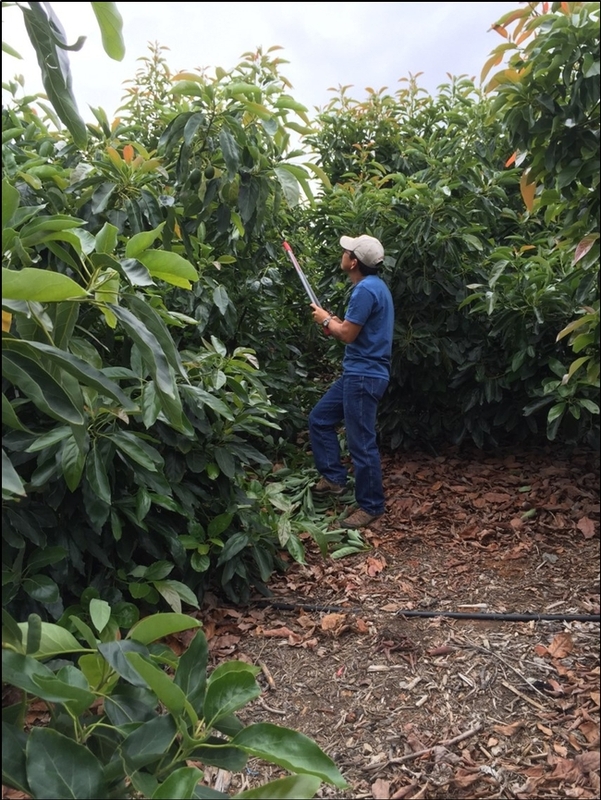 When pruning trees, wait at least one month after the end of the rainy season before making cuts, because Hyphoderma basidiospores require moist conditions to survive and cause infections. Prune out all infected wood during dry conditions and remove it from the orchard. Plant Shield is a product of an antagnonistic fungus - Trichoderma harzianum- that can be painted on wounds to prevent this gummosis. It's best to just avoid pruning in wet weather, though.